Follett 25CI425A-L Symphony Countertop Air Cooled Ice Maker and Water Dispenser - 25 lb. 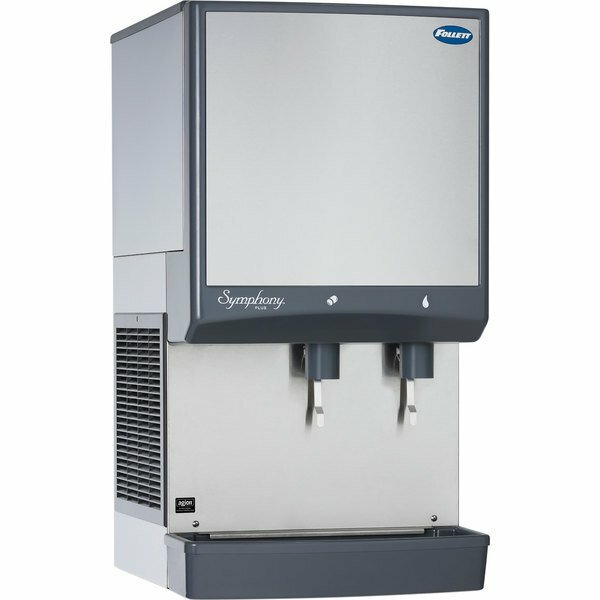 This Follett 25CI425A-L Symphony countertop air cooled ice maker and water dispenser is the perfect solution to ice and water dispensing in your healthcare facility, retirement community, or restaurant! 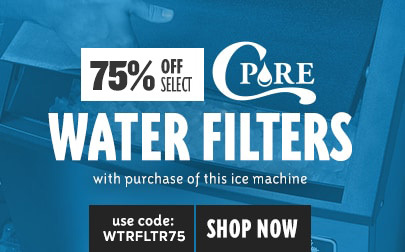 Its ice maker produces up to 425 lb. of soft, chewable Chewblet compressed nugget ice per day. This type of ice is often preferred over cubes for its ability to conform when used in ice packs! It is also chewable and perfect for filling cups and pitchers. For easy operation, this ice machine features a one-handed lever dispensing operation. Simply push the cup, carafe, or pitcher against the lever for a fresh supply of ice. Looking for an environmentally responsible unit? Look no further. This Follett ice machine and dispenser uses R-404A refrigerant that has a zero ozone depletion potential and its continuous ice making process uses less electricity and water. 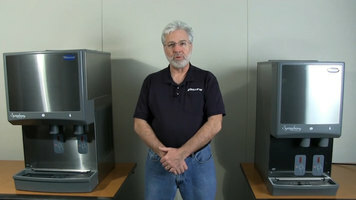 Plus, this unit features Quiet Night sleep mode to automatically turn off the machine when it is idle. 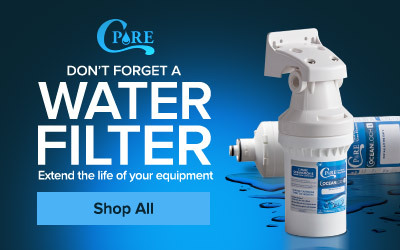 This unit uses 12 gallons of potable water per 100 lb. of ice and has a storage capacity of 25 lb. Follett 25CI425W-SI Symphony Countertop Water Cooled Ice Maker / Dispenser - 25 lb. Follett 25CI425W-S Symphony Countertop Water Cooled Ice Maker and Water Dispenser - 25 lb. Follett 25CI425A-SI Symphony Countertop Air Cooled Ice Maker / Dispenser - 25 lb. Follett 25CI425W-LI Symphony Countertop Water Cooled Ice Maker / Dispenser - 25 lb. Follett 25CI425A-LI Symphony Countertop Air Cooled Ice Maker / Dispenser - 25 lb. Follett 25CI425W-L Symphony Countertop Water Cooled Ice Maker and Water Dispenser - 25 lb. Follett 25CI425A-S Symphony Countertop Air Cooled Ice Maker and Water Dispenser - 25 lb. 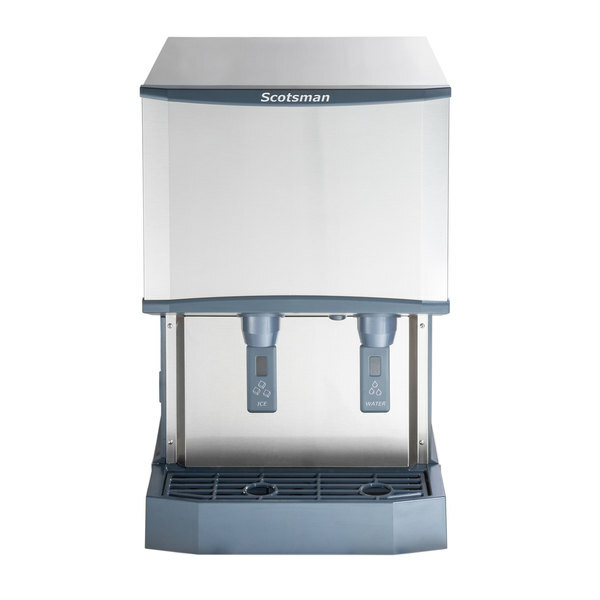 Check out this Scotsman countertop air cooled ice machine and water dispenser instead! Producing up to 500 lb. of ice a day and a small footprint to maximize space, these features make this a great alternative!